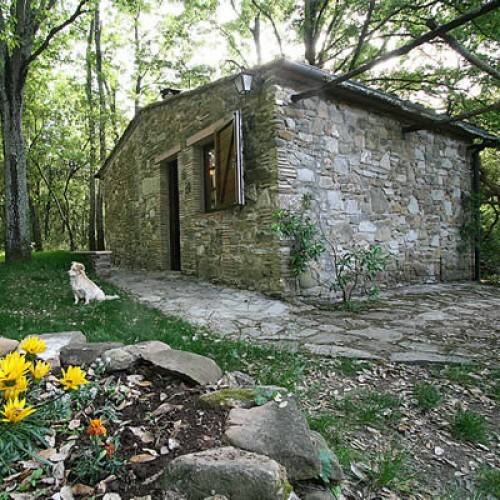 The Casetta nel Bosco is built of stone and has river earth plaster. 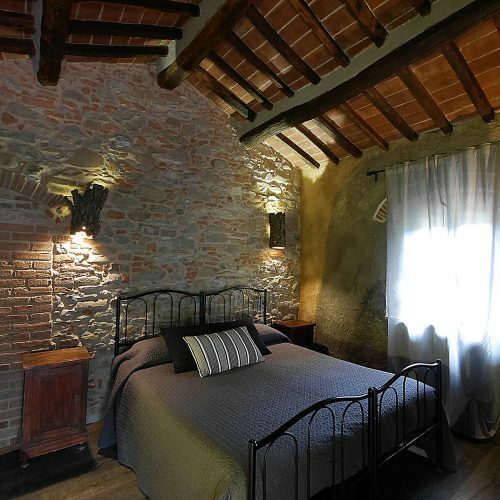 Inside, two rooms accommodate a queen bed and single bed in a fascinating and relaxing atmosphere. The bathroom with crystal shower cabin is distinguished by its stone washbowl. 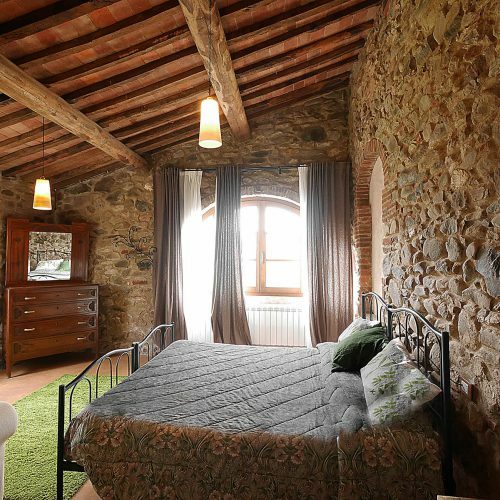 Built in the late 1800s and recently renovated, the I Cerri farmhouse owes its name to the surrounding trees. Two centenary holm oaks welcome guests to the building, built of riverstones and coated with old plaster. 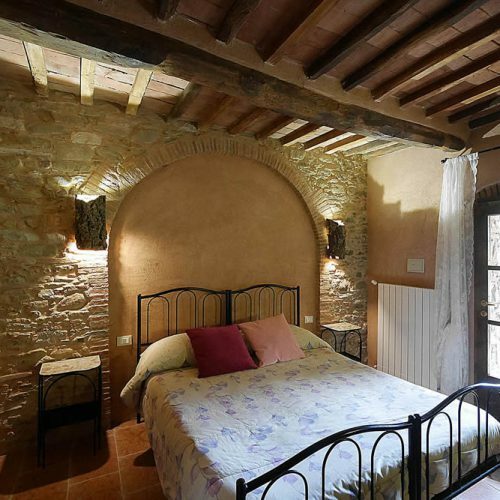 It houses four rooms with ensuite bathrooms: two with patios on the ground floor (the Ricordi and Marmo Rosa rooms), and the other two with balconies on the first floor (the Castagno and Carbonaio rooms). 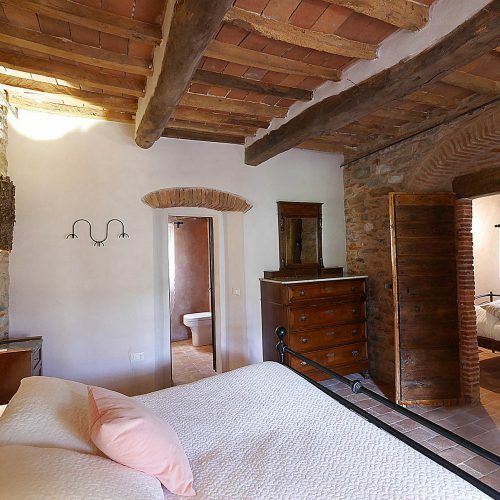 The entire estate is named after La Cerreta, the main farmhouse which was built in the eighteenth century. 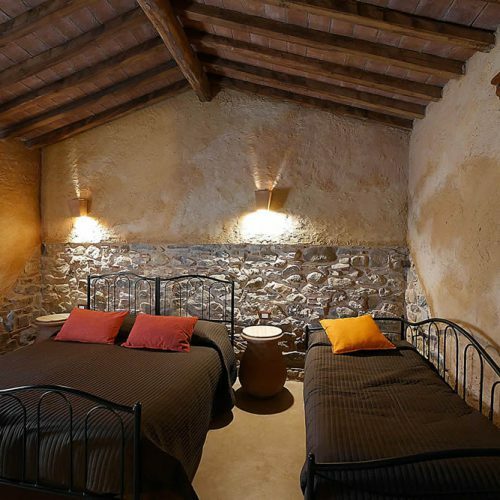 The ground floor houses a kitchen and restaurant in the central area, while two guest rooms, the Cantina and Carraia rooms, are located along the sides. 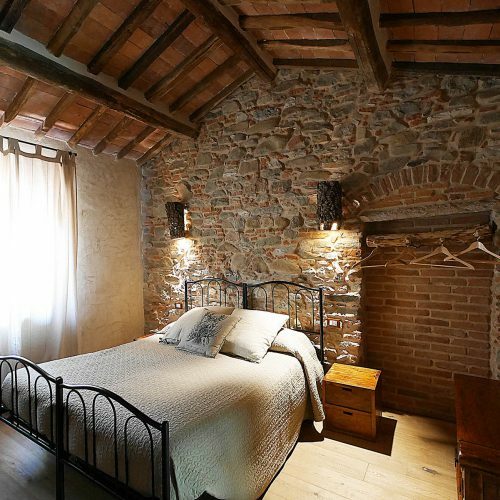 This farmhouse takes its name from a roof tile with two small paw prints. 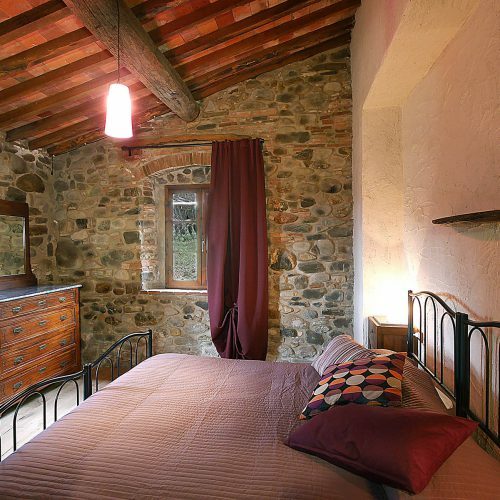 Together with the I Cerri farmhouse this structure is part of a small nucleus of buildings going back to the late 1800s which were once devoted to the harvest and preservation of chestnuts, a source of sustenance and income for the inhabitants of Sasseta. 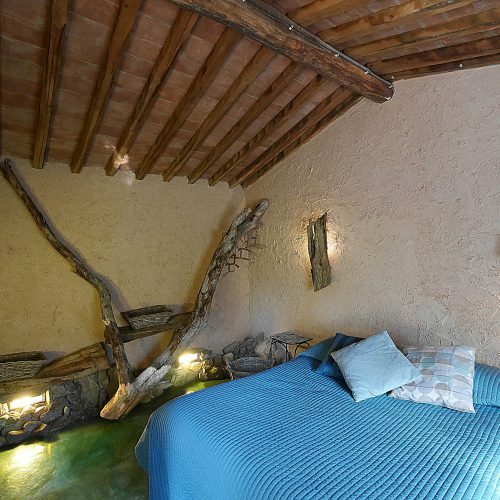 The farmhouse Le Orme offers two rooms with ensuite bath, both on the ground floor and constructed entirely of river stones. The Terra room to the west, and the Acqua room to the east are separated by a small open gallery.